The LifeHouse is a food kitchen for the homeless, underhoused, recovering addicts and those displaced and disconnected. They operate in Albert Road, Southsea and aim to be a resource and support centre as well as a food provider. The charity targets issues surrounding homelessness and addiction for those in need throughout Southsea, central Portsmouth and other areas of the city; supplying hot meals twice a week, food parcels, clothes, outdoor sleeping gear and equipment, shoes and toiletries to people on an individual needs basis. 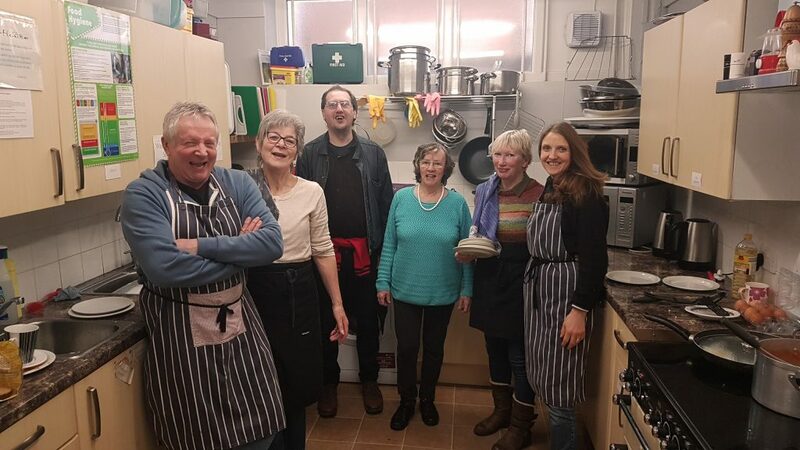 They also aim to provide a social meeting place for people who find themselves disconnected and signpost individuals to other health, social and welfare services where needed. The LifeHouse is remodelling and updating the centre in order to provide a wider range of services to individuals in need; from dentistry, check-ups, sign-posting and support to access services and benefits. As part of the remodelling process, the LifeHouse recently approached Radian asking for help with the kitchen refit and the trades team were all too happy to help. Members of Radian’s trades team, led by Sukh Bhakar, have volunteered to fit the new kitchen free of charge. They have joined forces with Symphony Kitchens who will be supplying the kitchen units and Nutland Carpet Accessories who will be supplying the flooring to provide the LifeHouse with everything they need in order to continue supporting the people of Portsmouth.